The SDLC Breakout is a compact physical interface that enables direct connection to up to five CAN networks. 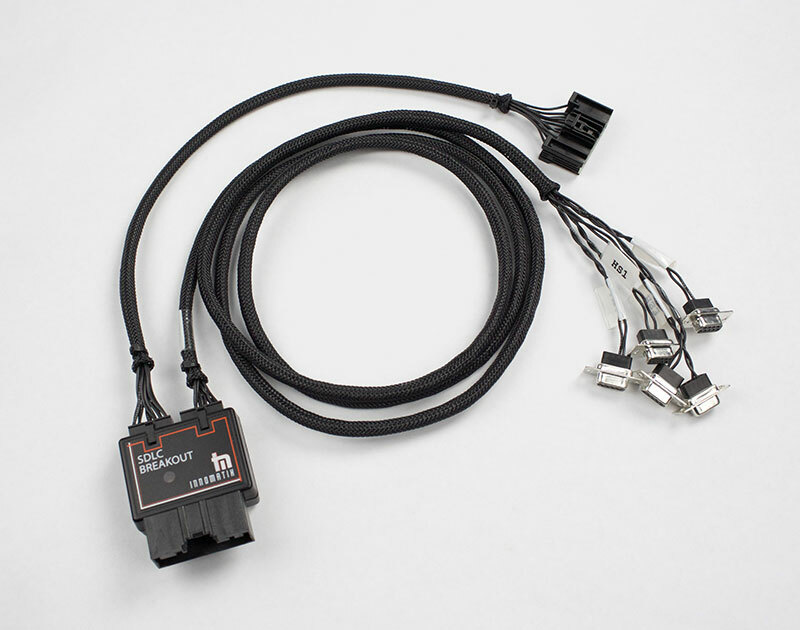 It connects in-line behind the SDLC without occupying the standard OBD-II connector or requiring communication to pass thru the SDLC. A second connector allows an unlimited number of cable options. © INNOMATIX, . All rights reserved.